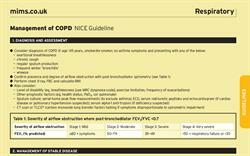 Summary of NICE guidance on COPD treatment. 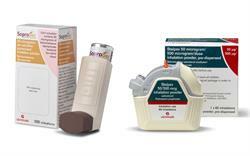 Categorisation of inhaled corticosteroid doses in asthma. Summary of BTS/SIGN asthma protocol in adults. Summary of BTS/SIGN asthma protocol in children. 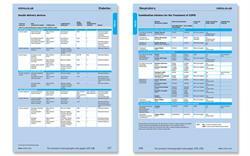 Key information on COPD combination inhalers. Guide to ordering home oxygen supplies.